FabFitFun is the seasonal subscription beauty, wellness, fashion and fitness box that women of all ages are currently loving! Every 3 months of your subscription, FabFitFun ships hand-picked beauty products right to your door. Products include makeup, fitness products, lotions and much, much more. FabFitFun subscription boxes make a great gift to someone you love or to yourself! Use a FabFitFun subscription box coupon to help save on your upcoming order. No. FabFitFun does not accept PayPal as a valid form of payment. All major credit cards are accepted. Yes. By default, FabFitFun will auto renew at the end of your subscription. This setting can be toggled on or off in your account settings. For seasonal subscriptions, FabFitFun will charge you $49.99 every 3 months. For annual subscriptions, FabFitFun will charge you $179.99 before the box is shipped. No. All sales through FabFitFun are final and non-refundable. Does FabFitFun have a customer service phone number? Yes. You can call FabFitFun customer service by phone at (855) 313-6267, Monday-Sunday 4am-12am PST. Does FabFitFun have an app? Yes. The FabFitFun app is available for both Apple and Android. Does FabFitFun have any physical locations? No. FabFitFun exists strictly online and will be shipped right to your door! Yes. FabFitFun coupons are offered regularly and can be found right here at Coupon Cause! Common discounts include 10% off first purchases and more. Yes. FabFitFun boxes are really awesome and come with beauty and fitness products you are guaranteed to love! FabFitFun subscription boxes will ship to Canada and Puerto Rico for an additional charge. Visit FabFitFun international shipping for more information. Does FabFitFun ship to the UK? No. Currently, FabFitFun subscription boxes do not ship to the UK. How do I gift FabFitFun? FabFitFun makes gifting a subscription box super easy. Simply click the "Gift" tab at the top of FabFitFun.com to start gifting a box! The seasonal subscription FabFitFun box ships 4 times a year for a charge of $49.99 each. 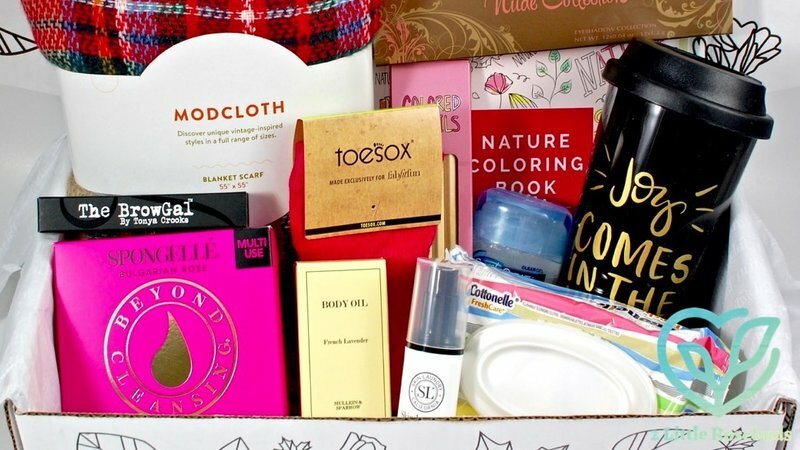 The annual subscription box ships once a year for $179.99. FabFitFun is a seasonal subscription box that ships with hand-picked beauty and fitness products! What is in a FabFitFun box? FabFitFun boxes are shipped with beauty, wellness, fashion and fitness products. Past examples include body oils, soaps and shampoos, jump ropes, masks and more. Check out these past FabFitFun boxes for a better idea of what to expect! Customers can expect FabFitFun boxes to ship within 10 days of billing for that box. New boxes ship every 3 months. Are you happy with the FabFitFun offers on this page? FabFitFun.com is a hip new subscription based service that delivers a box of full-sized beauty products, make up, workout videos, electronics, snacks, clothing accessories and other types of goodies every three months. This cool concept makes you feel like Christmas comes four times a year when the FabFitFun box is delivered to your doorstep! There are plenty of excellent user reviews posted on the FabFitFun website so grab a CouponCause discount code and head over there using the link below to sign up for the next FabFitFun delivery box!